The SPCA is a charity that helps protect animals who are sick, injured, lost, abused or simply abandoned. 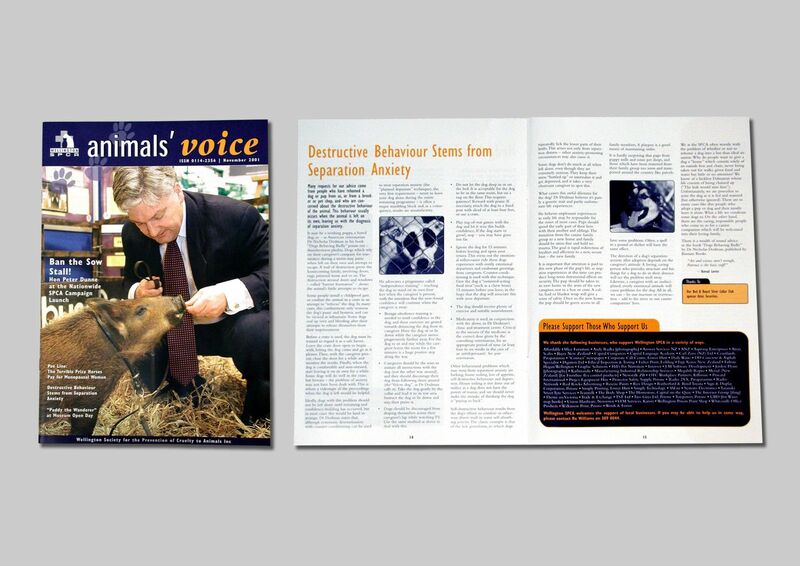 Project: ‘Animals Voice’ a Bi-Monthly Magazine that communicates events developments in SPCA. Format: 16 page A4 Magazine. Brief: The client required the design to be modern and professional. It needed to be people and animal focused. Solution: I designed initial template design for the magazine which included a header design for the cover and inside layout.